Did you miss the live sessions? Don't worry we recorded them for you! Standard level members and higher have access to the recordings, resources and handouts from the 3 workshop sessions. Not a Standard level member? The workshop is one of the many benefits of a Standard level membership. Please scroll down to the Workshop Fees area for more information. It's not too late to register for the remaining 2 live workshop sessions with JD Dillon. It's not too late to register for Session 3 of JD's workshop! Please log in to TrainingMagNetwork.com and return to this page. Select "View Recording" you'll be automatically registered for the next session on Friday, Jan. 25 and get immediate access to the recordings. Session 1, recorded on Friday, Jan. 11 and Session 2 recorded on Friday, Jan. 18 are posted below in the "Dates & Times" area. This benefit is available to Standard level members or higher. To see your current membership level or upgrade click here and login. A 3 session online workshop for trainers, designers, facilitators, leaders, and for those who desire to adopt new modern methods in learning and design. 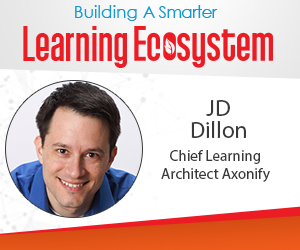 Access the recordings and resources for free - Building a Smarter Learning Ecosystem registration is free to Standard Level members a $595 value. People learn without training. What?! It's true! Formal training is only a small part of an organization's complex learning ecosystem. The majority is made up of informal learning channels that L&D often doesn't support and may not even know about. 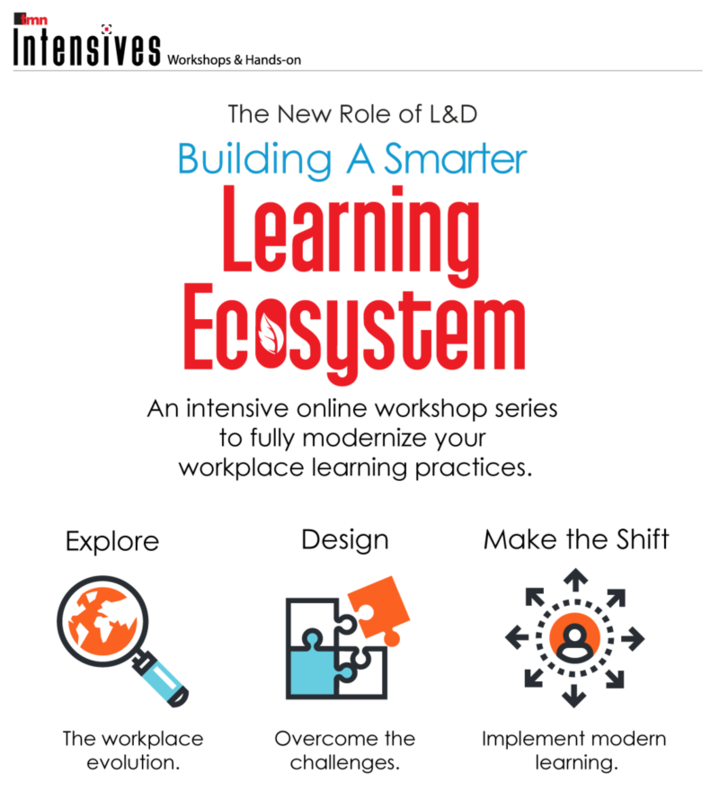 During this series of intensive online workshops, you'll explore the components of a modern learning ecosystem. Discover how these components work together to empower employees and solve business problems. Practice designing solutions to common performance challenges using the Modern Learning Ecosystem Framework. Walk away with practical ideas that will help you start shifting your approach to learning so that you can meet the needs of today's employees at the pace of business disruption. We dig into how the workplace has evolved and what that means for today's learning professionals. We work through a series of common performance challenges using the Modern Learning Ecosystem Framework. We discuss the steps you can take to introduce a modern learning ecosystem perspective within your organization. Access the recordings & resources for free - Building a Smarter Learning Ecosystem is free to Standard Level members a $595 value. Check your membership level please log in to TrainingMagNetwork.com and click here. This dynamic workshop was in 3 weekly discovery, conversational and experiential method online sessions. With a Standard level TMN membership for $95, you'll receive all additional benefits of Standard level membership! 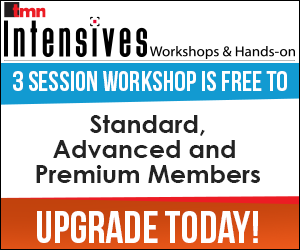 Standard, Advanced, and Premium members receive free access to the workshop recordings, resources and handouts. Already a Standard level member or higher? Please log in to TrainingMagNetwork.com and register on this page. Questions? Please email us at members@trainingmagnetwork.com, or use the contact us link below.